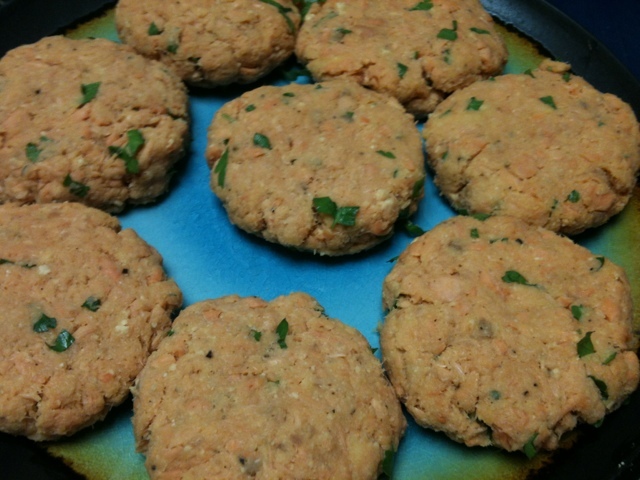 food: salmon cakes | eat. drink. fly. i came home from work the other day and realized that i had no meat in my house. when you eat paleo, not having meat is a meal-killer. and then i remembered… i *do* have meat. i have canned salmon. and i also have a recipe that uses said canned salmon. 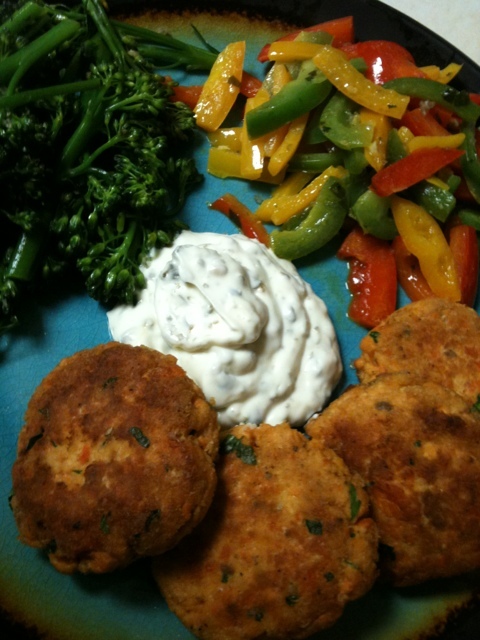 thanks once more to my primal blueprint cookbook, i made their delightful fish cake recipe for my meal. it was dead simple and really really tasty. this recipe made 8 cakes – served 2 of us. i served it with lemon caper mayo, which you’re supposed to make your own mayo for, but that’s just not happening on a work night. so i used mayo from the fridge and added lemon juice, lemon zest and chopped capers… and dried jalapenos. i served it with other things that were hanging around my fridge… peppers and broccoli.